Here’s some highlights of the Kohl’s Rock & Republic launch event. If you were following on Twitter or my Live section, you know there was a total moment of swoooooning over Ed Westwick’s arrival to the show. I mean, I was sitting right BEHIND him during the show!! The front row was totally star-studded — Ashlee Simpson, Heidi Klum, Penn Badgley and even Zoe Saldana. 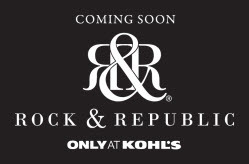 Disclosure: Kohl’s provided compensation to me as an incentive to blog about the Rock & Republic launch event. The opinions expressed herein are those of this author, and they have not been reviewed or approved by Kohl’s in advance.